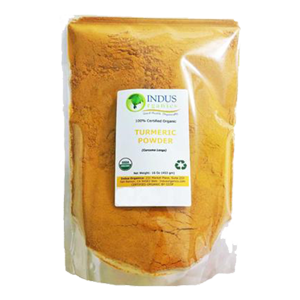 Turmeric root has been used in ancient Siddha medicine and by Ayurvedic practitioners for close to 4,000 years as a digestive aid and culinary spice ingredient prepared in curries and cleansing kitcharies. Although turmeric might seem like quite the ordinary kind of kitchen cabinet seasoning, this inconspicuous rhizome is one of those commonplace foods you wouldn't normally recognize as a superfood. This is often sometimes the case with a number of herbs and spices that have been used throughout the world and human history. But in fact, turmeric is one of the most extensively researched herbs in the scientific health field, offering a potent source of antioxidant-rich compounds as well as antibiotic, antiviral and antifungal properties. Consuming turmeric root is a simple and effective way to re-boost immune health and keep us free of disease and sickness. Other evidence suggests its specific usefulness as an anti-inflammatory, helpful as an herbal remedy for aches, muscle soreness, digestive disorders and combating infections. 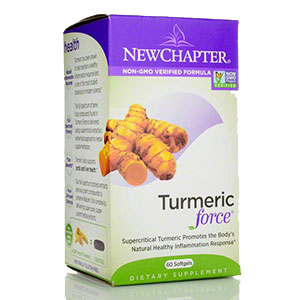 In Chinese medicine, turmeric is a known blood and liver tonic that promotes healthy skin and clear complexion. 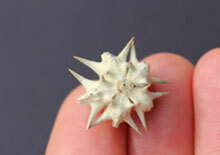 It is also said to move "Chi" (Qi) and relieve pain in the body, especially in the joints. 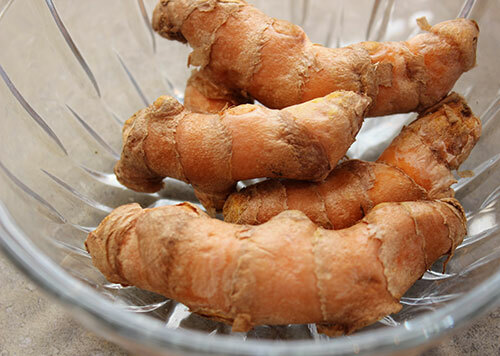 As an Ayurvedic herb, turmeric is bitter, pungent as well as astringent and generally considered a tri-doshic herb helpful for balancing all three body types. It has a broad range of beneficial properties but, as mentioned, is most famous in the scientific community for its soothing effects on inflammation, working as a natural anti-inflammatory agent. The root itself, related to ginger, is not even all that spicy or flavor-filled but contains one of the most brightly colored plant pigments on earth, dying most any kitchen bowl or utensil a bright yellow-orange color. Some of the highest antioxidant-rich foods and super fruits have a very deep yellow-orange, blue-green or red-purple pigmentation. Some believe that these types of foods are purposefully color coded to try to get our attention and express their nutritive value as dietary superfoods. Turmeric is obviously very high in beta-carotene, an antioxidant great for maintaining healthy eyes and vision, but there are also other active ingredients found in the root and these are referred to as "curcuminoids." 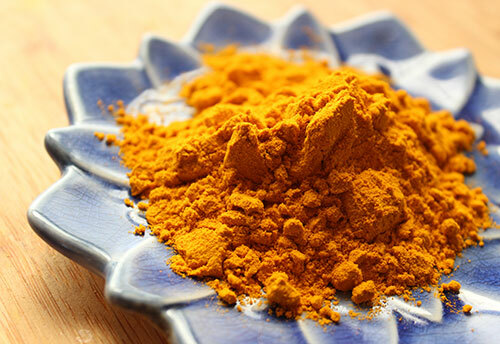 The yellow-orange coloration present in turmeric is the base of one of the major alkaloids in the root called curcumin, one of three curcuminoid phenols. The various healing components of turmeric are attributed to this golden colored antioxidant compound. 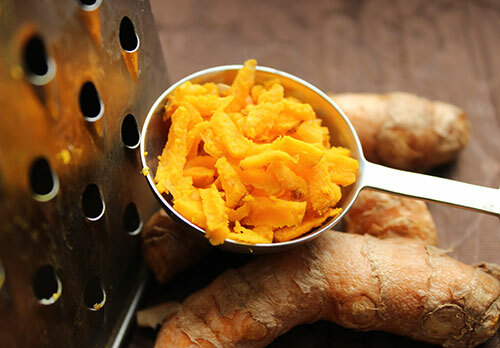 Curcumin is responsible for its pungent flavor and although it only makes up about 3-4% of the tuber, it is a potent and concentrated source of phytonutrients. Curcumin has been widely researched in the past 20 years for its proven effects as a powerful anti-inflammatory providing specific relief for those with arthritis, rheumatism and may even be beneficial for reducing amyloid plaque build-up associated with Alzheimer's disease. Curcumin has been made available as a standardized extract for this reason, which isolates the active ingredient but may also make it harder to absorb and less bioavailable in the bloodstream. We recommend consuming the whole herb in its complete natural state to help deliver curcumin effectively. "Turmeric as a whole herb stays in the digestive tract longer than curcumin, releasing antioxidant curcumin along with other beneficial substances." 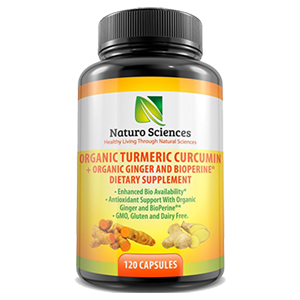 (*) In 2013 research finding it states that "Studies have indicated that turmeric oil, present in turmeric, can enhance the bioavailability of curcumin." 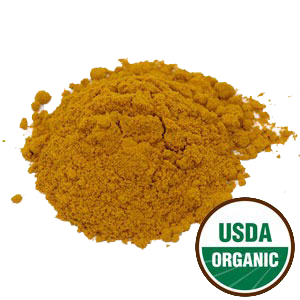 Turmeric root is widely cultivated in India and often conventionally grown with the use of heavy pesticide sprays and synthetic fertilizers. 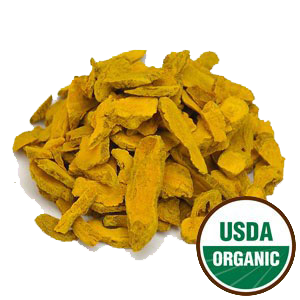 In addition, processing methods also involve boiling or steaming the fresh turmeric rhizomes to remove the raw odor, produce a more uniformly colored product and gelatinize the starch material. 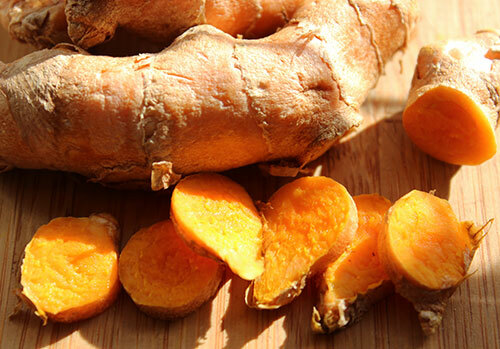 What Does Turmeric Root Taste Like? 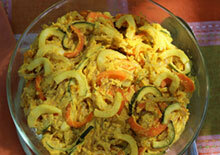 Turmeric has a mustard-like earthy scent with a very mild taste that is slightly warming and pungent. 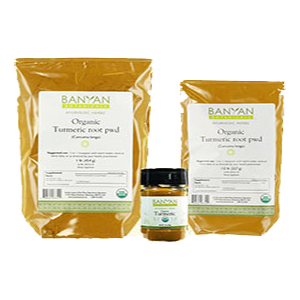 Most turmeric sold around the world is imported from India, so it is therefore especially important to purchase organic turmeric root powders coming from these regions to avoid the harmful influence that pesticide concentrations can have on the body. 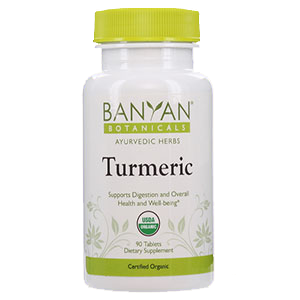 Raw turmeric is one of those herbs that is more effective in its unheated state and best added to foods after they are cooked. If you have access to fresh turmeric root, this is the very best to use for maximum health benefits. A high quality organic ground powder is the next best option. The powder can be conveniently added to drinks, dressings, smoothies, juices, tonic teas and nut milks. Turmeric (Curcuma longa), native to Southeast India, is a root rhizome and close relative of ginger root, cardamom and galangal, all of which come from the family Zingiberaceae. It is a perennial species, preferring tropical conditions with a good amount of annual rainfall to thrive. 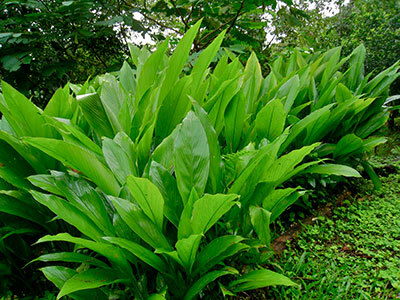 The leaf structure is similar to the long, oblong leaves of the ginger plant and likewise can reach heights close to 3 ft (1 m) tall. Typically the root is propagated from tubers grown the previous season. 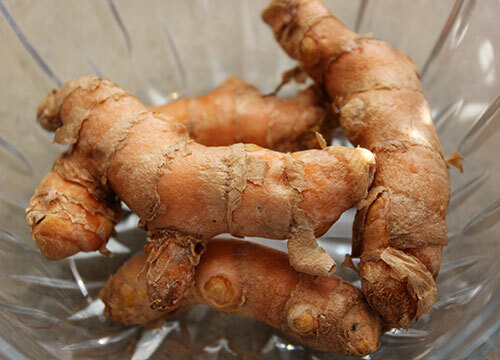 Fresh turmeric has a thin light brown skin and is segmented, usually growing as a thick tuberous mass with many roots branching off the main section. The use of turmeric dates back to the Vedic Indian culture close to 4,000 years ago. Some say its actual origins, however, came of age with Siddha Medicine, one of the oldest known medical systems that surfaced in India more than 10,000 years ago. From the subcontinent of India the use of turmeric root as a culinary spice first spread to China and other Southeast Asian countries, then later to Africa and Jamaica. The root was called "Indian saffron" by Arabian traders who introduced it to Europe and other parts of the world during the medieval period. Besides being a key ingredient in curry, a natural food preservative and valuable fabric dye, it is also used extensively in Indian spiritual rituals and Hindu ceremonies. The dried powder is considered a symbol of purity, fertility and prosperity and is used frequently in various religious occasions as well as weddings. Turmeric is used in a paste for anointing purposes, signifying a girl's initiation into womanhood and additionally serves in various ways as a blessing of respect for newly married couples, used throughout the wedding ceremony as a symbol of marriage. 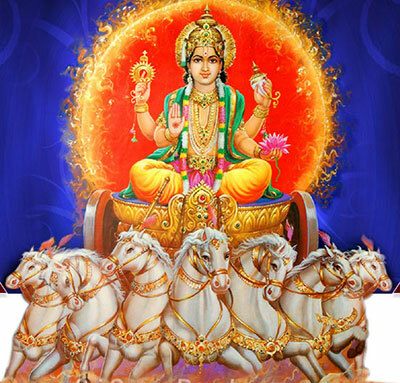 In the ancient Tamil religion, its brilliant yellow-orange color was associated with the sun and the solar plexus chakra, with its energy relating to the functions of metabolism and digestion. A turmeric plant is made as an offering during the Tamil Pongal festival to give thanks and to honor the sun god, Surya. 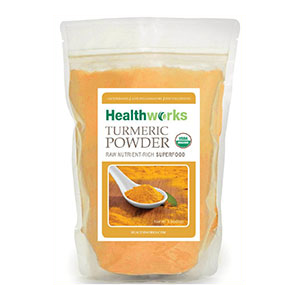 Try turmeric in our golden milk recipe. 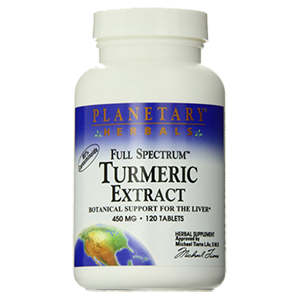 Turmeric supports proper pancreatic functions by increasing the activity of certain digestive enzymes, such as lipase, amylase, sucrase and maltase. As a cholagogue, the root is recommended for chronic digestive weakness as it stimulates the production of bile, encouraging improved digestion and the increased ability to digest certain foods, like fats. In Traditional Chinese Medicine it is thought to promote the movement of Chi (Qi) and helps to alleviate abdominal pain. This concept goes hand in hand with turmeric's capacity to improve peristalsis, the muscle contractions that move food through the intestinal tract. One of the major active ingredients in turmeric is curcumin, chemically referred to as diferuloylmethane, is the main component recognized to be responsible for its antioxidant immune boosting properties and effects as an anti-inflammatory agent. 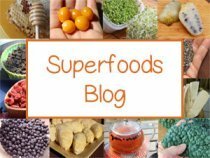 Curcumin is similar in nature to other polyphenol plant pigments like anthocyanins found in various berries like acai, maqui and blueberries, the phycocyanin in blue green algae as well as the betanin found in beetroots. Curcumin is one of three active "curcuminoids" found in the rhizome with the other two being desmethoxycurcumin and bis-desmethoxycurcumin. Although there has been lot of attention given to curcumin in the past 10 years, there is also some recent evidence that curcumin is not exclusively the chief component to turmeric's health enhancing attributes as once believed. In the 2013 issue of Molecular Nutrition and Food Research, a curcumin-free turmeric was tested for potency as a potential anti-inflammatory. The publication reveals that "Studies over the past decade have indicated that curcumin-free turmeric (CFT) components possess numerous biological activities including anti-inflammatory, anticancer and antidiabetic activities." 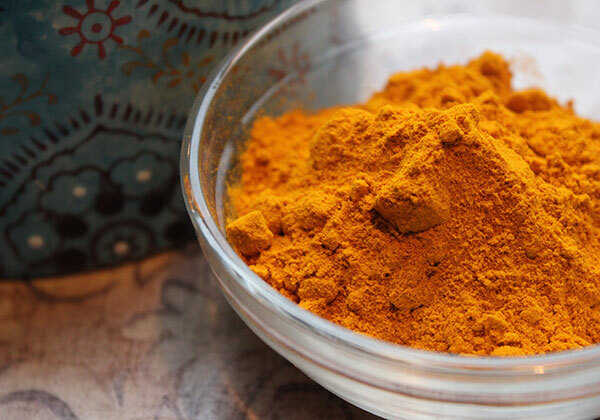 In Ayurvedic medicine, turmeric powder is used as a treatment to heal injuries, sprains, reduce swelling and decrease pain in traumatized joints and tissues. 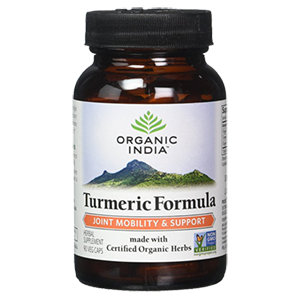 In a study conducted using turmeric extract as a potential arthritis treatment it was concluded that "A turmeric fraction profoundly inhibited joint inflammation and periarticular joint destruction in a dose-dependent manner." Turmeric has shown to be of potential benefit for specific neurodegenerative diseases, like Alzheimer's, because of its proposed ability to block the creation of beta-amyloid plaques thought to be responsible for the deterioration of cerebral functions. There is also some preliminary research that suggests curcuminoids bind to the amyloid proteins as well as exhibit detoxifying properties that help to reduce heavy metal toxicity, like aluminium and lead, which has been found in brain tissue of those with dementia and Alzheimer's. Many health authorities also agree that coconut oil may also be helpful for Alzheimer's patients as it offers an alternative ketone energy fuel for the brain. Both the oil and turmeric can be used together as a natural home remedy and dietary supplement. India is known to have a much lower incidence of Alzheimer's than those in the United States, who eat less turmeric and curry dishes. 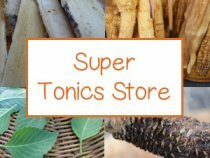 One of the less talked about top health benefits of turmeric root is actually as a liver cleanser and blood tonic. Turmeric is naturally high in iron content which is part of the reason for its blood building properties and is especially good for anemic individuals. The bitter component in the root is the primarily constituent responsible for its cleansing attributes. 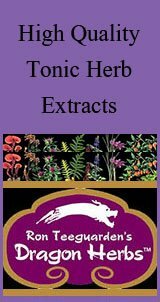 It is an excellent herb to use with other liver cleansing herbs like milk thistle, dandelion root, triphala and schizandra berry. Addressing the spleen, stomach and liver meridians in Chinese medicine, turmeric root is called "jiang huang" and is said to clear heat, purify, invigorate and move the blood. It is a common remedy recommended by herbalists for irregular menstruation or menstrual cramping (amenorrhea and dysmenorrhea) as it is typically known to increase blood flow. In Ayurveda, it is an important ingredient in kitcharies for its cleansing actions as a potent liver herb. Many herbalists believe that it is comparable to other liver cleansing herbs, like milk thistle, for conditions such as hepatitis, liver cirrhosis and for generally improving liver function via its actions as a powerful blood detoxifier. 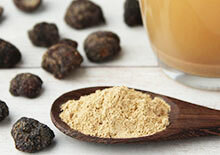 Yellow foods in TCM suggest that they are liver and gall bladder herbs. Turmeric is a popular ingredient in natural gall bladder formulas for this reason as it helps to break up stones and sediment accumulation. Studies have indicated that the curcumin content may be useful for increasing the detoxifying antioxidant glutathione, which is synthesized in the liver. It was used historically as a treatment for jaundice and is recommended in the Susruta’s Ayurvedic Compendium, dating back to 250 BC, as a paste for relieving the effects of food poisoning. Beta-carotene is an additional antioxidant nutrient found in most all yellow-orange colored foods and turmeric has an abundance of it. Beta-carotene rich foods support healthy eyes and is suggested as a preventative for those prone to cataracts and macular degeneration. 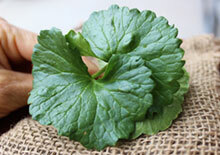 All liver herbs are also excellent for promoting clear complexion and beautiful skin. Turmeric can be used as a supplement to eliminate a variety of skin conditions such as eczema, acne and psoriasis. 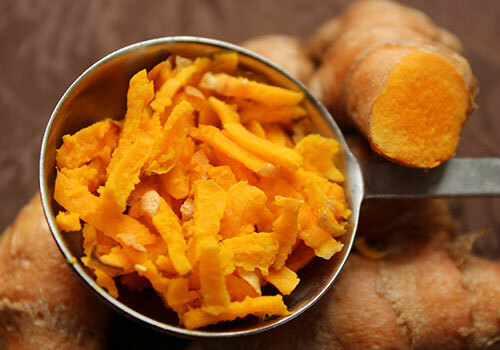 Turmeric root is excellent for the circulatory system as it increases blood flow, thins the blood and helps to prevent blood clot formation through its anti-platelet activity that stops platelets from clumping together. It is nourishing to the heart and studies indicate that curcumin can effectively lower LDL or the "bad" cholesterol, while increasing HDL, high-density lipoproteins, reducing risk of atherosclerosis or the buildup of plaque in the arteries. In Chinese medicine it is said to clear the heart and open the orifices. Turmeric is used as a Shen tonic good for calming the heart and drying dampness, phlegm and heat in the circulatory system. 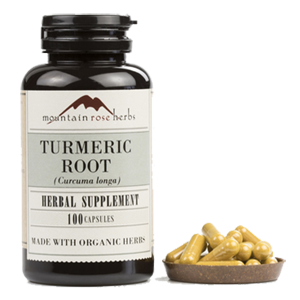 Turmeric root is an excellent herb to use with other cleansing herbs during the spring season, a ritualistic time of year to detoxify the body. The fresh root can be juiced, during a juice fast, or grated and blended into soups, curries, dressings, dips, vegetable dishes or infused into our fire cider recipe. The powder can be lightly sprinkled over meals for maximum health benefits and can also be used to add color to various healthy desserts, cheddar seed cheeses or dehydrated cracker recipes. Juiced - Fresh turmeric root can be juiced into juicing recipes, using about 1/4 to 1/2 an inch or so. Tea - Add turmeric powder to pre-made tonic teas for increasing the effects of other herbs. 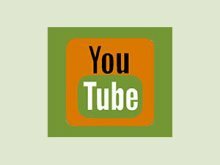 Tincture - Make your own alcohol or glycerin-based tincture using the whole dried root or pieces. Dried Powder - Keep a high quality powder in a spice jar to sprinkle over meals and salads. Capsules or Tablets - A convenient way to take dried turmeric that has been encapsulated for pressed into a tablet. Juice the above ingredients through a juicer or blend in a blender and strain through a mesh nut milk bag. Place the turmeric in first to avoid staining your counter with possible drips from your juicer. Pour into a glass or store in the fridge for later use. 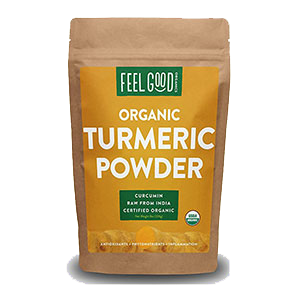 This is a great juice to make when you have fresh turmeric root available at your health food store... or you can also use 1/4t of powdered turmeric mixed in at the end. It is good to use turmeric in moderation as high doses may cause indigestion, diarrhea or nausea. It should be eliminated from the diet when pregnant or trying to become pregnant. Consuming excessive amounts of turmeric root should be avoided by those with congestive heart failure. Consult your physician if taking blood-thinning pharmaceuticals or other medications.